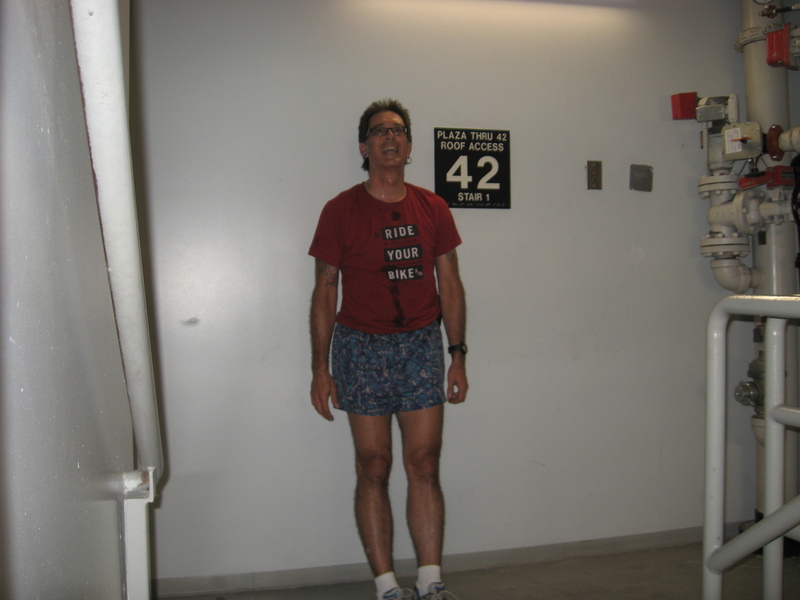 Today was the second day for stair practice at One California Plaza in downtown Los Angeles. This is a 42-story building, and it’s just enough to get to that Pain Point. So of course I wanted to go and climb it, since it’s ‘fun’. The actual climb was about the same as always. Seems like no matter how fast or slow I go, it just plain hurts. 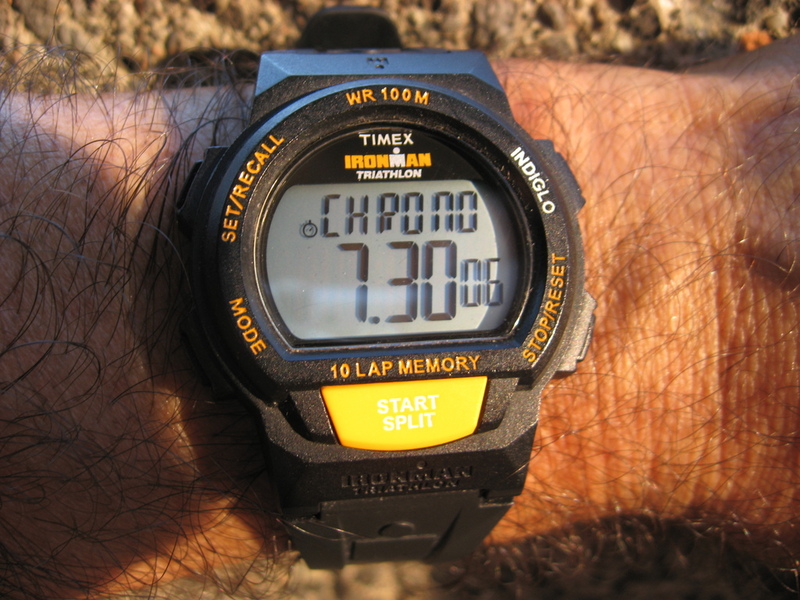 But I was able to keep a good, steady pace, and I got to the top in 7:30, which is one second faster than on Monday. There was one bit of aggravation today. The door is supposed to be open for us to get out of the stairs at the 41st floor, and the guards had forgotten to come and open it. I went in the elevator control room at the top level and found a phone. I called down to the lobby and they sent someone up to open it. While I was standing there, I noticed that there were four very large electric motors in the room that powered the highest bank of elevators, and there was a strong ozone smell in the room. Since the elevator room door was open to the stairs, it seems that the ozone was probably permeating the stairwell. Maybe that’s why I felt like what the bike racers in the ’70s used to refer to as ‘getting smogged’. Back in those days, we always wanted to be back from rides by 10:00AM. If we didn’t, our throats would feel like we’d gargled with Drano. But I suppose that nobody has ever really done a definitive study of skyscraper stairwell air quality. After all, the stairs are only supposed to be used for emergency evacuation, right? Still, I did a decent time, so I’m not unhappy about that.